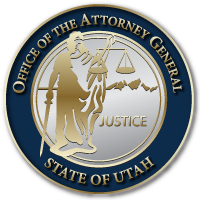 The biannual Utah Take Back Day is this Saturday, October 28, 2017. From 10 AM to 2 PM, dispose of your unwanted and unused prescriptions at collection sites all over Utah. Last April, local law enforcement collected 17,364 pounds of prescriptions. When you do have expired or unwanted medicine, the take-back program is the safest way to dispose of all your unused prescriptions drugs. Protect your kids and keep your family safe. Storing unwanted prescription drugs is potentially harmful to children and potentially a source of supply that fuels prescription drug abuse. Help fight the opioid epidemic by getting rid of your old drugs. Take all of your unwanted medicines to a disposal site on Utah Take Back Day, Saturday, October 28th. This entry was posted in Recent Posts and last updated on November 15, 2017 .